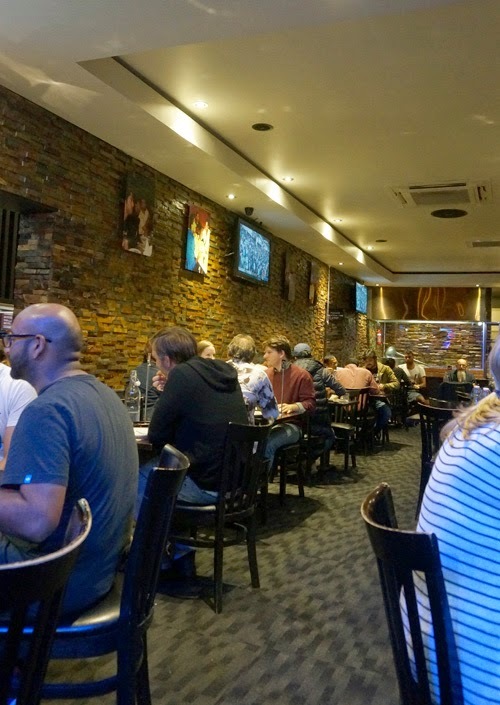 My friend suggested this Indian restaurant which all her Indian friends love, so I decided to give it a go. 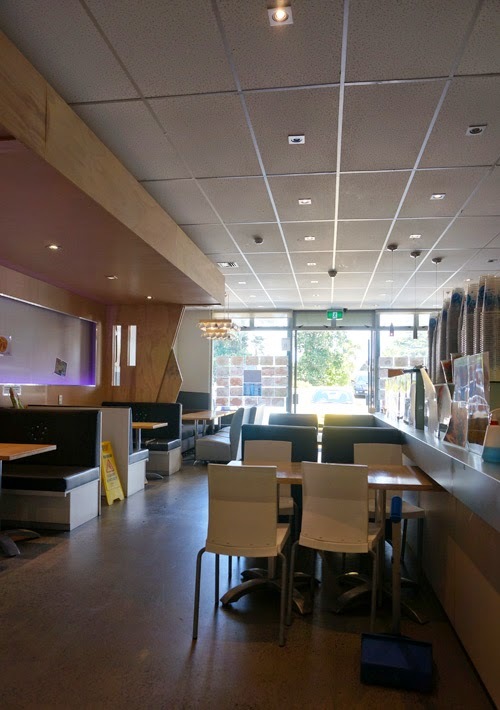 Paradise started as a takeaway shop but was extended to have a restaurant area next door due to its popularity. When I entered there was this weird and unpleasant smell - a mixture of curry and a cleaning product fragrance. Thankfully my friend got us an outside seat. 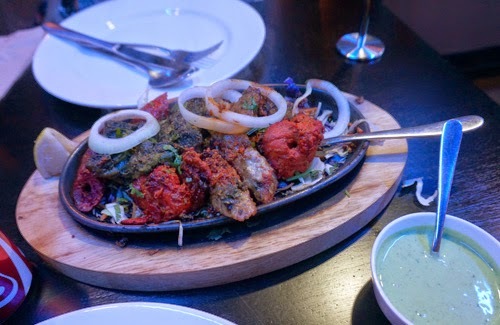 We ordered a mixed platter to share ($18) which came on a sizzling plate. 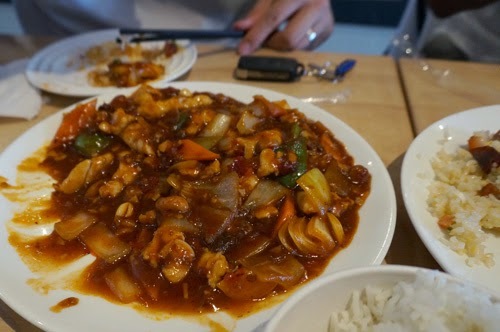 Chicken was okay but the rest was unrecognizable with cabbages burning at the bottom. One sausage-like meat was too herby for me so I couldn't finish it. I chose Butter chicken ($14), a safe choice, but it was quite creamy compared to other Butter chicken I've tried elsewhere. 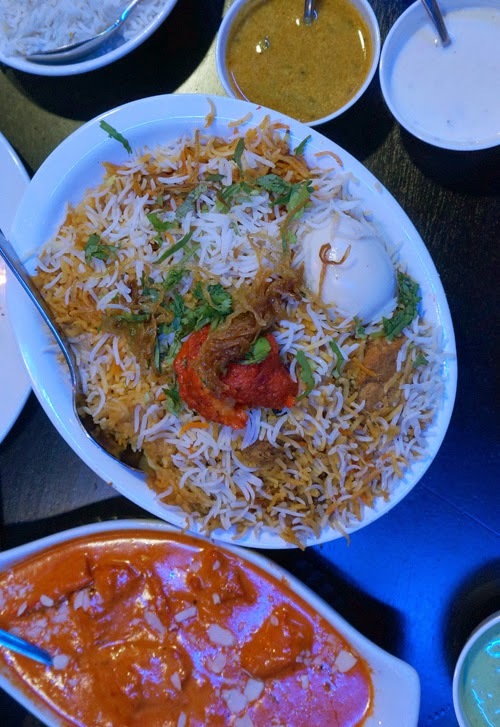 My friend made a bolder move by ordering a Chicken dum biryani ($12), a fried rice with meats. Maybe I'm not familiar with Indian cuisine but it tasted strange. Chicken was stuffy and dry and rice wasn't seasoned enough to be a special dish. However the place was packed with people lining up so maybe it is just me. Service and how fast the food came out. Smell and atmosphere wasn't enjoyable. Bambina Newmarket was looking amazing on Sunday afternoon. 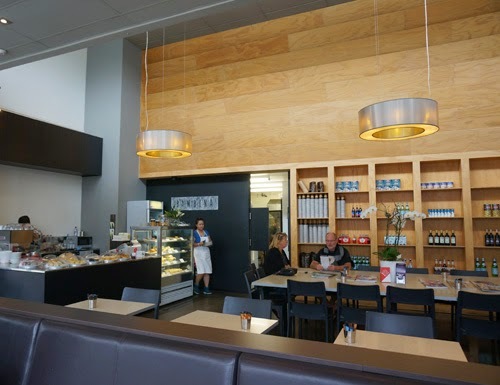 The interior was clean and simple with a great wide space. 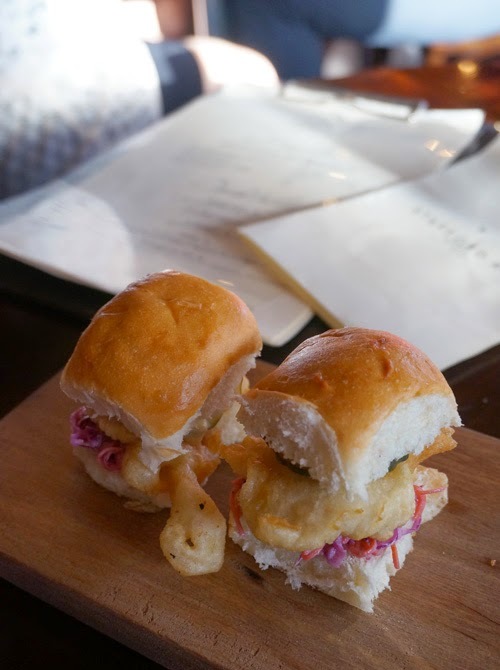 We were there for the Zomato meet up and tried various dishes that were chosen for us. 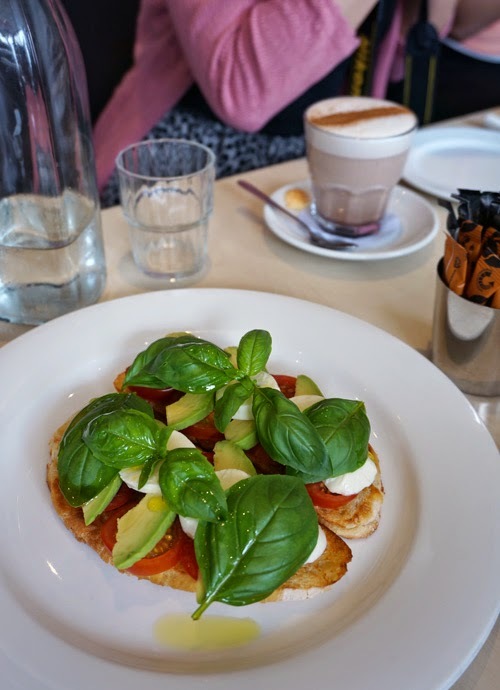 I started with the Bruschetta which had tomato, avocado, basil and bocconcini (small mozzarella cheese balls) which was absolutely delicious. 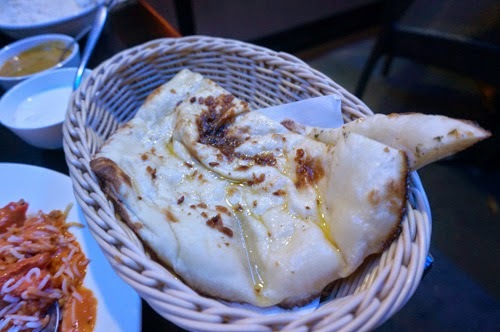 The bread was crispy and bocconcini so fresh and soft! Prawns in prawn risotto ($21.50) were huge and tangy and the seasoning was perfect. We were wandering the city trying to decide where to go for dinner and suddenly this gorgeous place appeared out of nowhere. The beautiful lighting and intense floral decorations were simply too difficult to resist. Fortunately we were seated on the balcony even without a reservation. We started with the Manchego & Serrano ham croquettes ($12 for three) which just melted in our mouth. I'm not a fan of cheese but this croquette had just the right flavour and texture to enjoy. I ordered Marinated mushrooms ($18) which was very unlike me (as a meat lover) but it turned out to be the choice of the night. 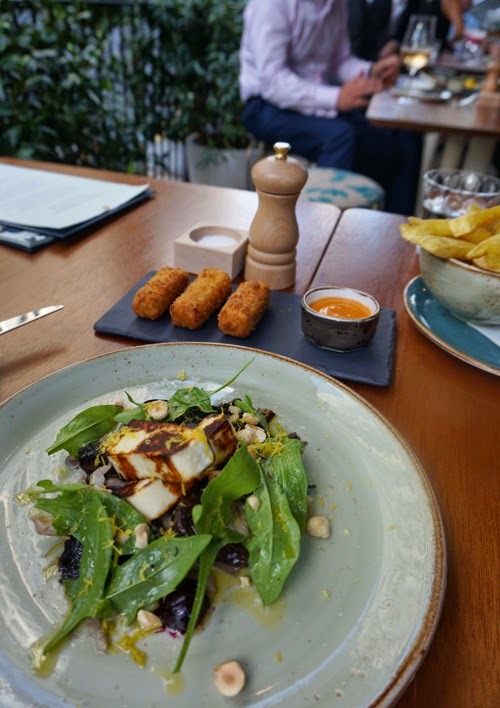 Four different kinds of mushrooms were cooked with baby beets, hazelnuts and grilled halloumi which complemented each other perfectly. Mushrooms were soft and tangy and I was craving for more. Semolina & squid ink pasta was little disappointing with its lack of flavours. Hand-cut fries with olive & anchovy mayonnaise weren't very special - in fact, I didn't take any notice of the dip. However it was lovely just sitting in an environment which was put together with a vast amount of effort. Result was a beautiful and enjoyable night out. Beautiful interiors will just blow you away. It was delightful to be invited to the Zomato event to meet other foodies and talk about the latest restaurants. 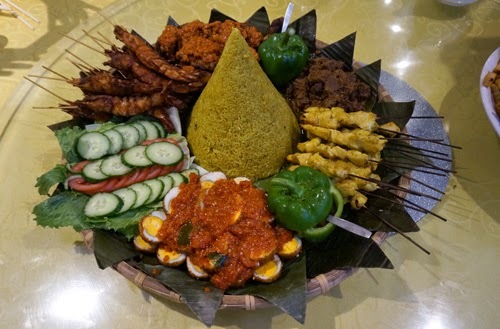 We were at The Cube Restaurant and Bar who do a mix of Chinese and Indonesian. 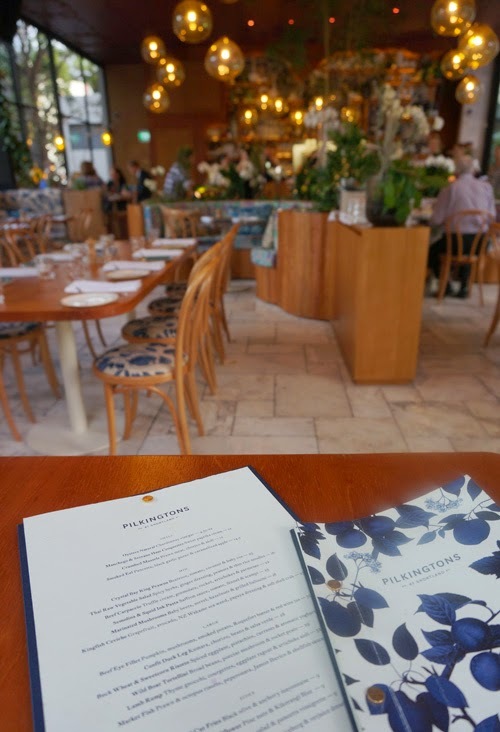 Honestly the interior and atmosphere weren't top notch and I was a touch scared of what I would eat. 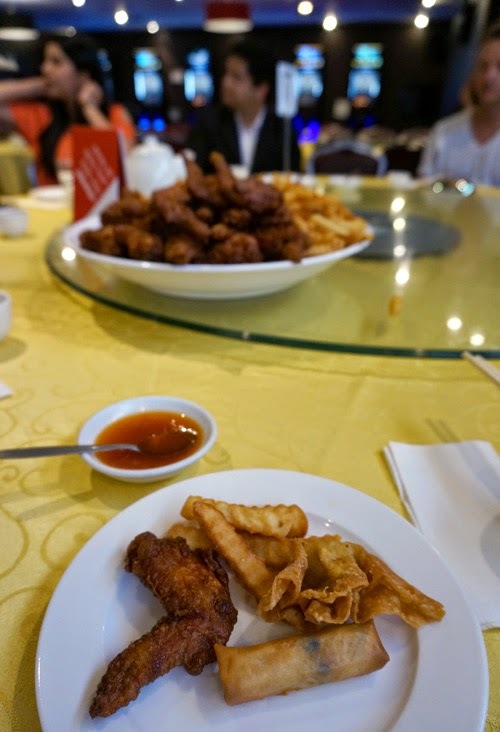 We were served with fried chicken, spring rolls, fried money bags and chips as I think the main wasn't ready. They were crispy and delicious and I tried hard to save my stomach for what was to come next. Easyway was our old time favourite. We used to come here often to drink milk teas and do chit chats. After two hours of badminton we were desperate to get icy drinks, so we instantly thought of Easy Way and headed that way. The waitress was quite grumpy from the start. It was almost like she had a bad breakup. We tried not to let that to ruin our meal and ordered drinks and food. Yaleto (sherbet-like drinks) and milk teas came out instantly which we appreciated. My Honeydew Yaleto ($5) was so delicious it quickly disappeared. 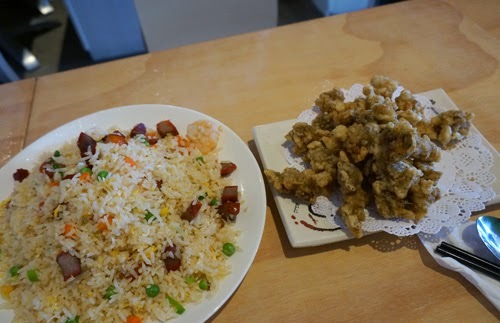 We ordered various meals to share: Young Chow fried rice ($12.9) was little bland with hardly any pork and shrimp in it. Kong Pao chicken on rice ($12.5) was meant to be hot as it had the two chilli icon on the menu but was actually not. Nothing jumped out here. 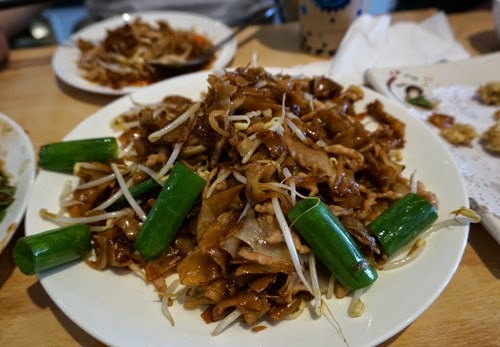 Pork fried noodle ($12.9) was simply tasteless, which felt like chewing soft rubber. Beef w black pepper on rice ($12.9) and Salt pepper chicken ($6.5) was the best out of all the dishes, but which Chinese doesn't do them well? We also ordered Cucumber in chilli sauce ($6.5) which my friend thought was too salty but complemented well with some of the bland dishes. Yes, I know this isn't a proper restaurant and I shouldn't expect too much. I guess I should just stick to ordering drinks from here. Ah, and coffee frappe ($5.8) was awful too. Weird flavour! I am craving for another Yaleto drink. Most of the food and the service. I couldn’t believe my eyes when I saw Stafford Rd wine bar full at 6.30pm. This place must be a favourite place for locals. Fortunately I was able to find a seat at the little corner which was the last table. I tried waving at a waitress to order a glass of wine and when she didn’t see me, a waiter on the bar kindly came out and served me which was very nice. 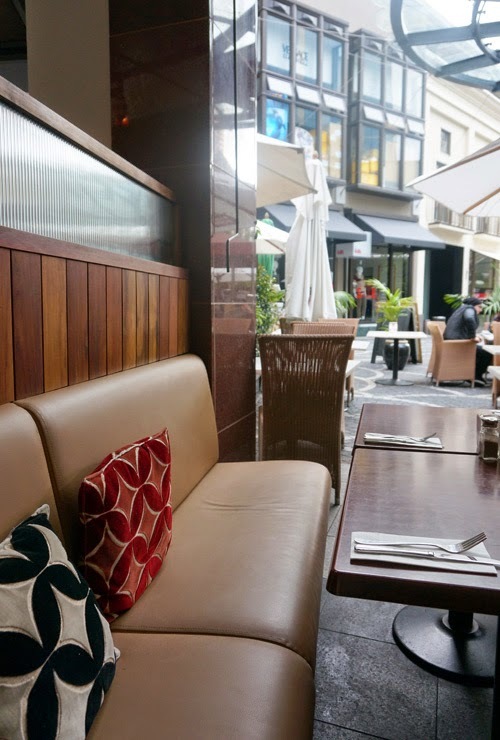 I don’t know how but I’ve started getting promotional emails from Chancery Bistro, previously known as Mecca. 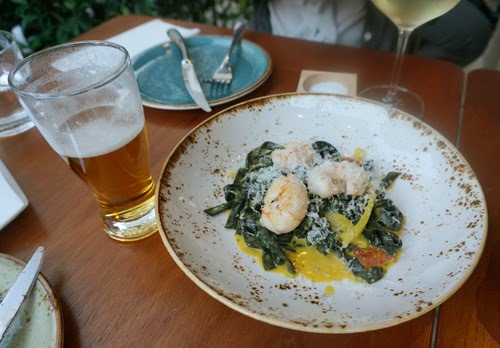 The special was quite tempting - dinner for two for $59 including two bubbles or beer plus complimentary parking! Is this really true…?